As we promised we come back to you with a post with many photos so we can show you the amazing scenery of these Islands on Lake Maggiore. 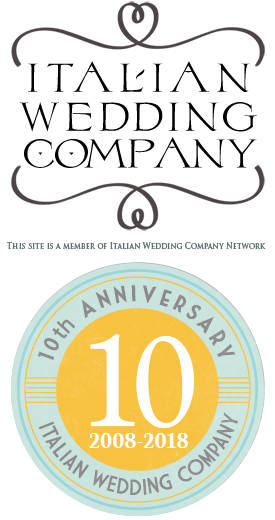 Today we give this important task to Piero Gatti. He knows well Lake Maggiore and Borromeo Islands. 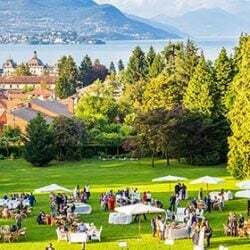 You can find his studio in Baveno just in front of the great view on Borromeo Gulf. 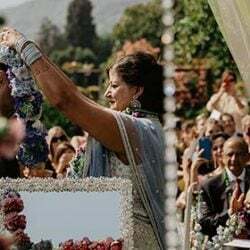 As local photographer Piero Gatti is chosen by many couple who want to have a local and skilled photographer for their wedding. Let’s start with Ksenia and Sergei a wonderful Russian couple. 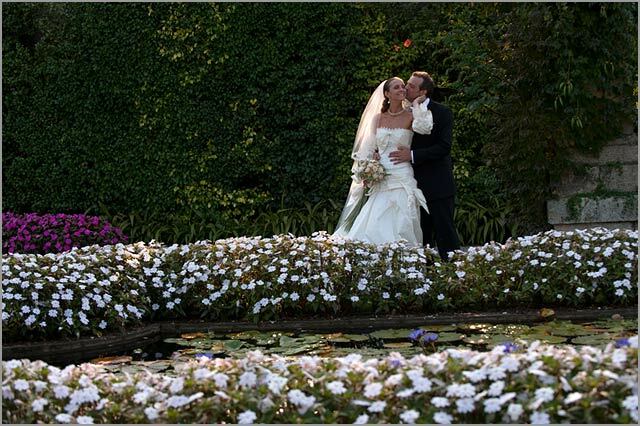 For their wedding photographs they chose Isola Bella and its Italian gardens. Kylie and David arrived from Asia. David had Italian heritage but live and work for finance in Taiwan. Kylie his wonderful bride is Chinese. 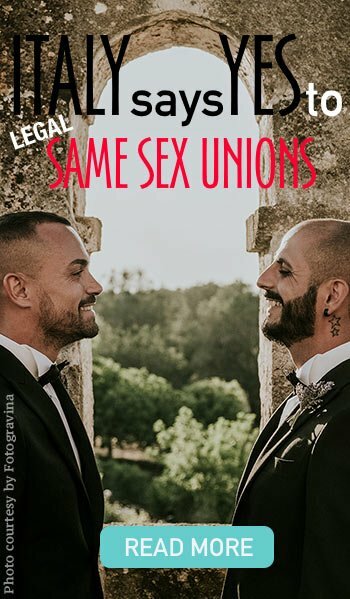 Let’s get back to Europe. 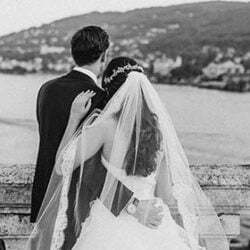 Mara and Harald: they came from Austra and they chose San Vittore church on Pescatori Island for their religious wedding followed by a lovely reception in one of the terraced restaurants on the Island. Let’s go North Kheite and Daniel came from Germany. 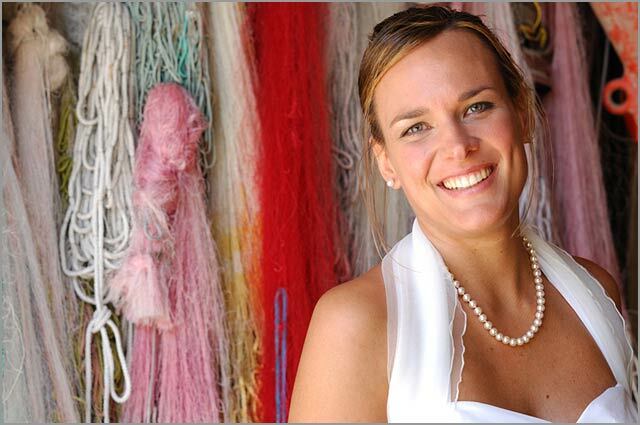 In the picture you see the bride close to colorful fishing nets on Pescatori Island. From Germany to Denmark with Eleonora and Niels you can see them walking on the lakeshores on Isola Bella. Among Piero Gatti’s best shots on Borromeo Islands we cannot forget Italian couples who know very well this area. 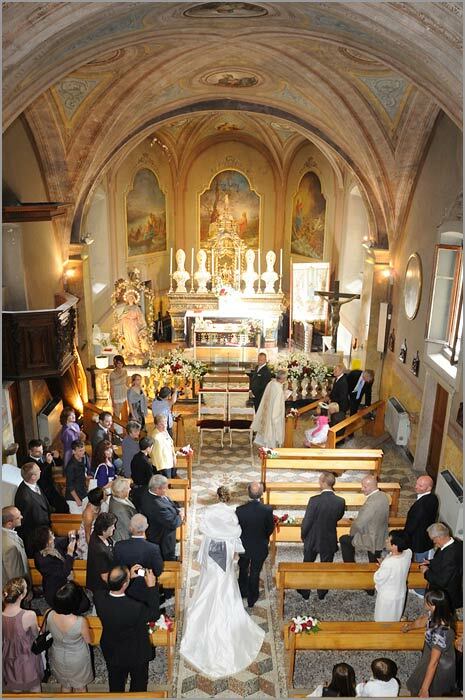 Mafalda and Fabian who chose San Vittore Church for their religious ceremony on Pescatori Island. Laura and Andrea who chose Isola Bella and its amphitheater. Piero Gatti is a skilled photographer working in Stresa. 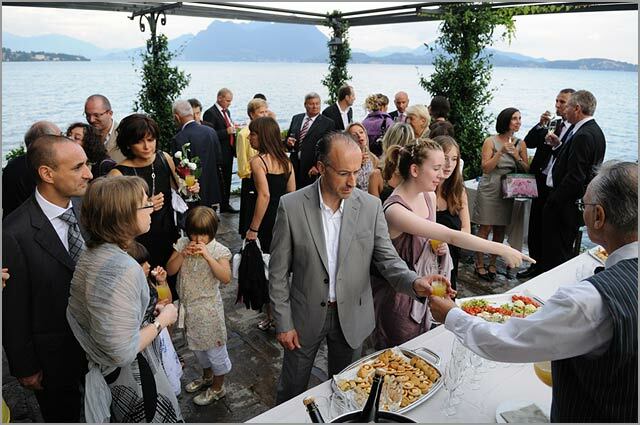 We already mentioned him talking about civil ceremonies to Grand Hotel des Iles Borromées. 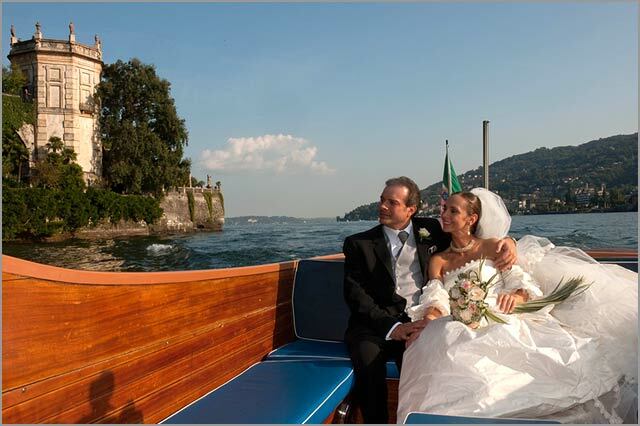 In this picture you will see Cristina and Cristian on the boat pier in Stresa. A wonderful spot: Borromeo Palace in the background and lake water with a lovely wooden boat in it! 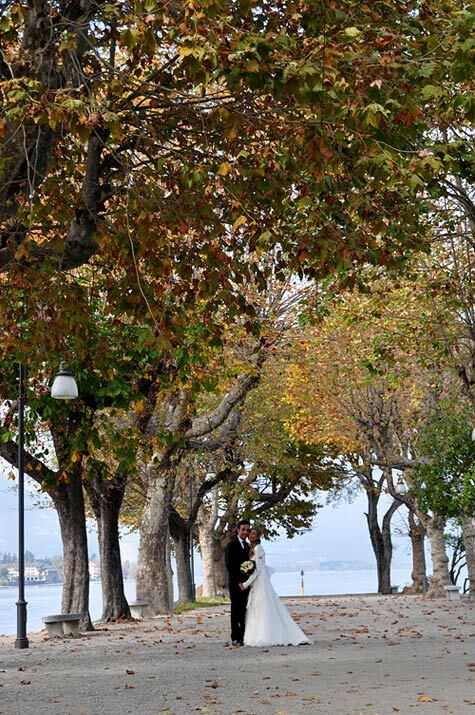 Autumn setting is the frame of Laura and Roberto’s wedding on Isola Bella. We end our Piero Gatti’s photography set with Simona ad Alberto‘s magic Winter Wedding. 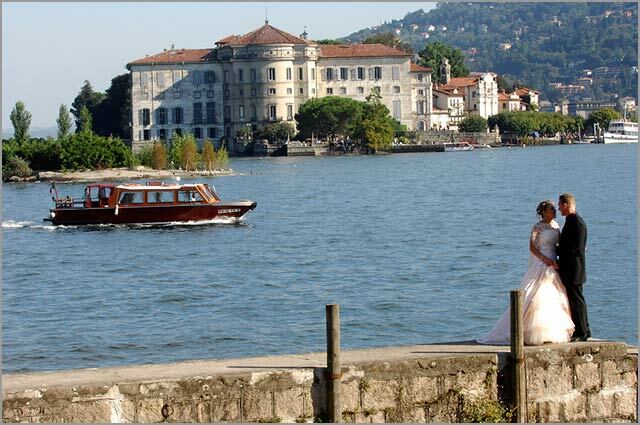 You can see the bride and groom in the haze of the lake with Isola Bella in the background. 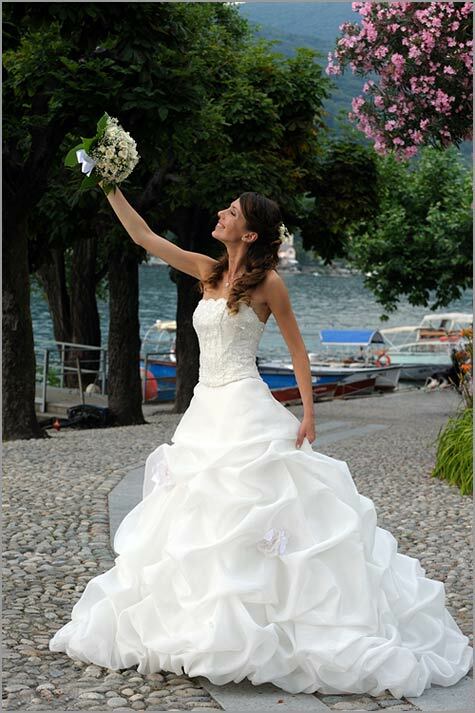 Italian Lakes Wedding Team thanks Piero Gatti for his great pictures put on disposal. 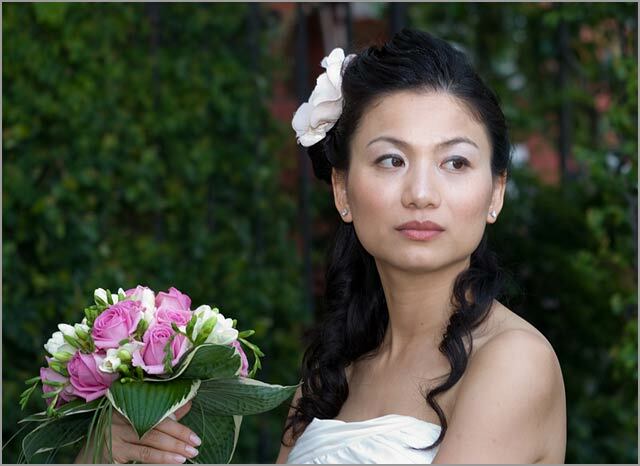 Piero Gatti and his great experience is available for your wedding photo service. 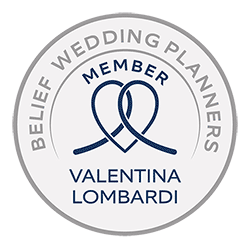 He will be happy to take you for great shots on most romantic and hidden spots in Stresa, Baveno, Pallanza, Orta and Borromeo Islands. Great corners that Piero Gatti will be able to give you back in wonderful shots. The classic piece of collections. Superb. Both are looking perfect. The locations are also unique.